Human growth hormone (HGH) injections can inhibit weight gain and slow some of the aging processes in male and female patients. Similar to hormone replacement therapy (HRT) for menopausal and postmenopausal women, HGH injections are intended to help people lose weight and look and feel more youthful by replacing the body’s natural human growth hormone production that declines with age. These injections are also used to treat growth problems related to chronic kidney disease, Turner syndrome and other medical conditions that affect both adult and child patients. Cardiovascular Problems – Human growth hormone injections can contribute to higher cholesterol and blood pressure levels, which puts more strain on the heart and causes the cardiovascular system to work harder than it should. Chest pain along with unusually fast or slow heartbeats (arrythmia) can also occur in some individuals. Insulin Disturbances – The body may start to produce too much or not enough insulin to be considered at healthy levels. Insulin disturbances may contribute to the onset of diabetes. Sensory Problems – Some people report feeling pain after beginning treatment. This pain often feels like a burning, an itchy or a prickly sensation caused by overactive nerves. Joint and muscle pain and also occur. In some cases, patients have experienced a decreased sensation of touch. Unpleasant Emotions – HGH therapy can impact a person’s mental health, but this is considered to be rare. Anxiety and depression can occur in some individuals. Cancer – More research is needed to determine if cancer is a definite side effect of HGH injections, but evidence suggests that this treatment may contribute to the growth of tumors. Some people undergoing treatment have later been diagnosed with leukemia, but researchers have still not determined if there is a direct link to HGH therapy. Swelling – Commonly referred to by doctors as edema, swelling is another possible side effect that may occur. HGH injections can lead to the build-up of extra fluid in the body’s tissues and may cause problems with walking. The excess fluid can also put more strain on the heart and other internal organs. Equilibrium Disturbances – A dizzying effect might be felt after beginning this course of treatment. The disturbance in equilibrium may additionally lead to blurred vision and severe headaches in some patients. Ears, Nose and Throat Problems – Various side effects from human growth hormone therapy can affect the ears, nose and throat. Some patients report hearing pounding sounds in their ears while others experience ear congestion. People who experience throat problems may develop soreness or hoarseness when trying to speak. A stuffy or runny nose is another possible side effect of HGH treatment. Digestion Disturbances – Nausea, diarrhea and constipation are all side effects that could accompany this treatment. These gastrointestinal disturbances can also contribute to a loss of appetite. Skin Irritation – Skin irritation is known to occur around the injection sites in some people, but the problem can become more widespread in severe cases. This unpleasant effect often leads to itchiness or the development of a rash. 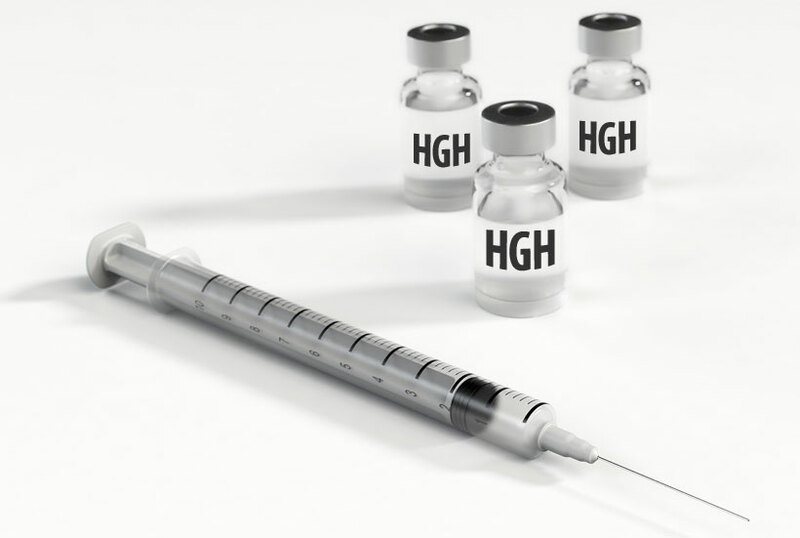 Anyone who wishes to try HGH injections to lose weight or feel younger should be aware of the possible side effects. The doctor who issues the prescription treatment should take every possible precaution to keep these problems from occurring.